We all struggle with grief at one time or another in life. We lose those we love. We suffer the loss of many things. In a life that ebbs and flows, there are seasons of mourning and seasons of dancing. In Ecclesiastes we read that there is a season for all things. 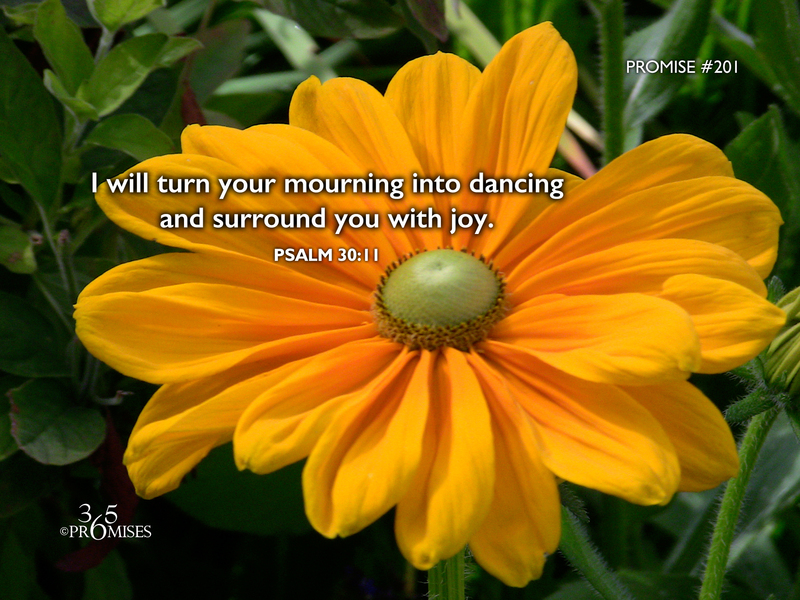 The promise for today acknowledges there is a season for grieving in our lives but it also points to the time when our God and Father will turn that season of mourning into a season of dancing. It is God Himself who will throw off our clothes of sadness and clothes us with joy! In times of grief and heartbreak, God promises to be close to us. So if you are in that season, allow the love of God to fill your soul and carry you in your weakest moment. But be encouraged, that there is a time coming when God Himself will turn your mourning into dancing and will surround you with His own joy.